Wondering how long to cook ribs in the oven? We know the answer! 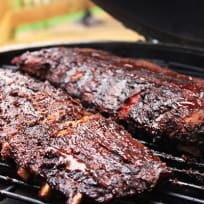 Wondering how to cook ribs? We’ve got the details! 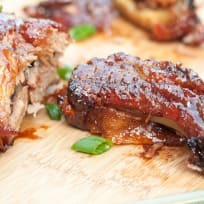 Gluten free sticky Asian ribs are easy to make with just a few minutes of prep. Just as good (if not better) than any restaurant ribs! Ribs are one of the most quintessential summer foods. This easy recipe will yield delicious, fall off of the bone ribs!